What a GREAT DESSERT any TIME of the YEAR! Now available in GLUTEN_FREE also! A shortbread crust with a center of white chocolate silk mousse that is encapsulated with our white chocolate strawberry silk. 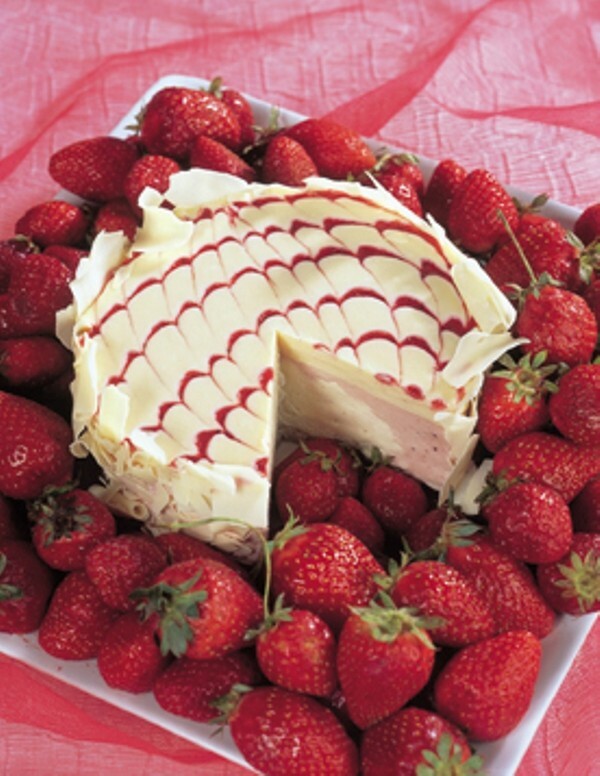 It is finished with a topping of our white chocolate silk and strawberry puree pulled throughout the top. Of course we only use natural real strawberries for this wonderfully elegant dessert.